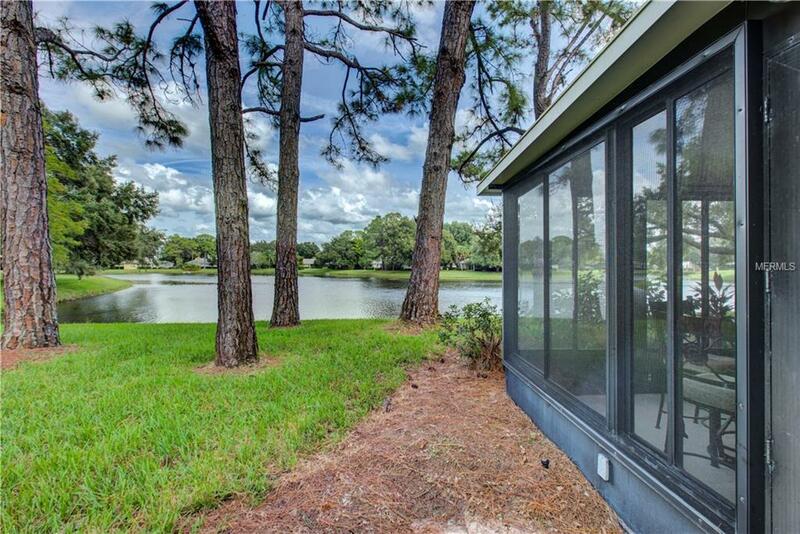 Best Feature - Private and peaceful waterfront view at it's best! 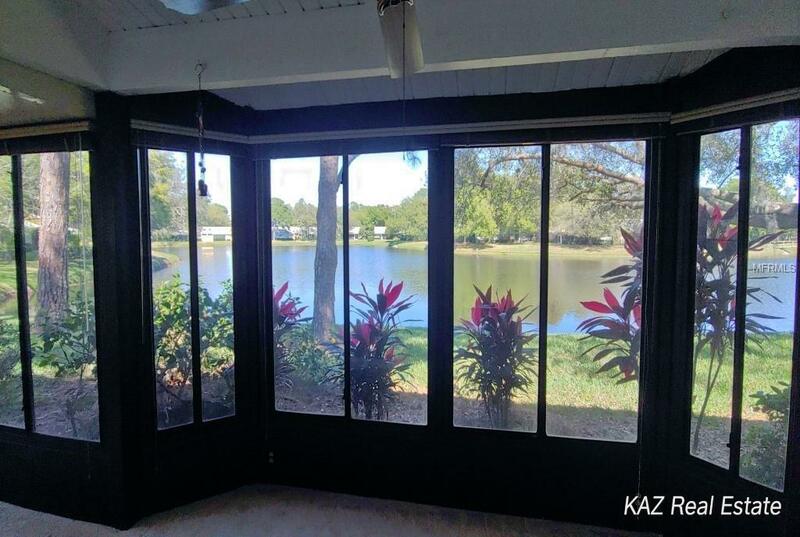 Gorgeous lake views greet you as soon as you enter this lovely 3 bedroom, 2 baths attached villa with attached 2-car garage. New Roof installed in 2007. HOA fees include exterior maintenance (roof), Trash, Cable TV, Community Pool, Escrow Reserves Fund, Maintenance Exterior, Maintenance Grounds of home and community, Manager, Private Road, and 24-hour roving security. Quite the value and peace of mind for $431/month. The kitchen and baths need some updating to your preference. 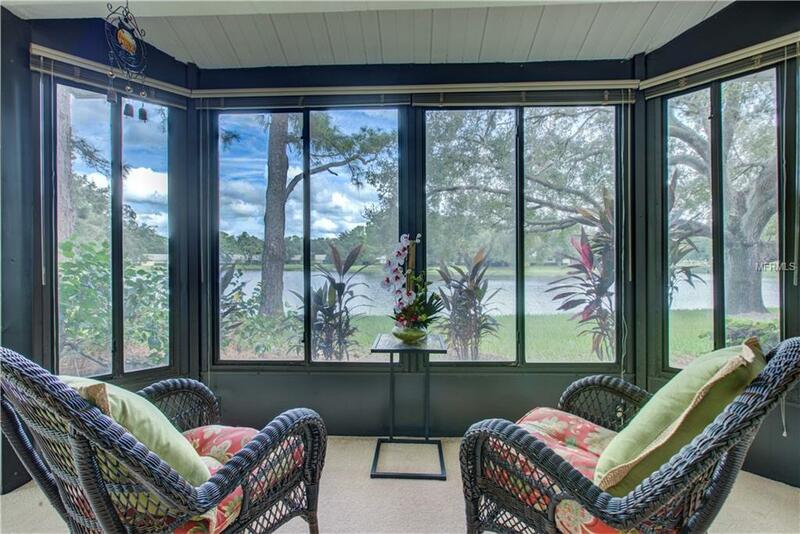 Florida living at it's best to include the large lanai expanding space to this home and bringing the outdoors in. Plenty of room to enjoy dinners, entertaining friends and read your favorite book with a water view backdrop. 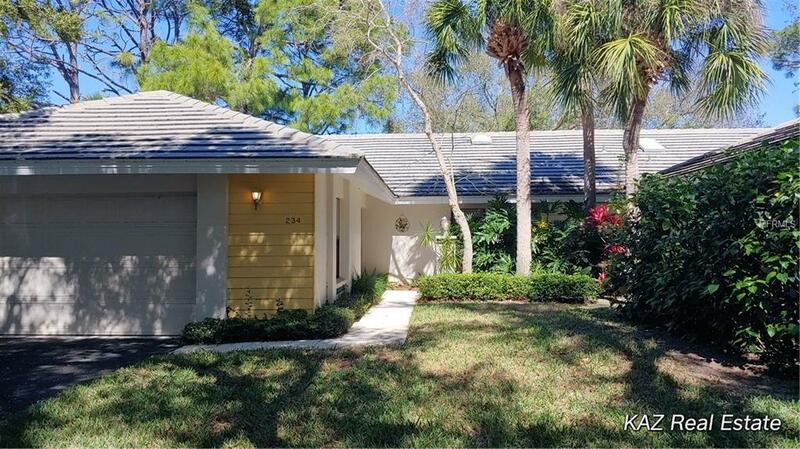 You will love the natural light and the space created by the vaulted ceilings and skylights. The serene, tranquil setting is tucked in on a quiet cul-de-sac. Plenty of living area and plenty of storage! Located in the fabulous Plantation Golf and Country Club (membership optional) one of the premier golf communities in Southwest Florida with two 18-hole courses, 13 tennis courts, restaurant (with no minimums) and home of one of the annual LPGA Qualifying School tournament. You will enjoy many good times in this charming and comfortable home.